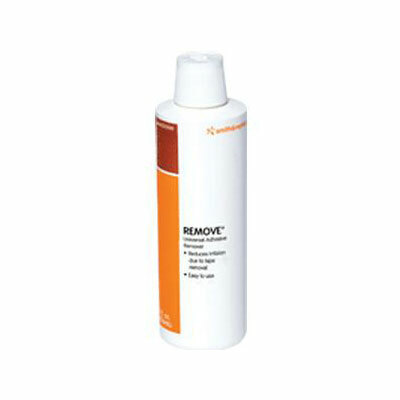 Smith and Nephew Remove Adhesive Remover - Sold By one 8 oz Bottle (Bulk of 3). This is a top quality wound care product by Smith and Nephew, Inc. ADW Diabetes has a wide range of these and other wound care supplies at great prices. You are viewing Smith and Nephew Remove Adhesive Remover Sold By one 8 oz Bottle (Bulk of 3) by Smith and Nephew, Inc. a leading manufacturer of wound care supplies.